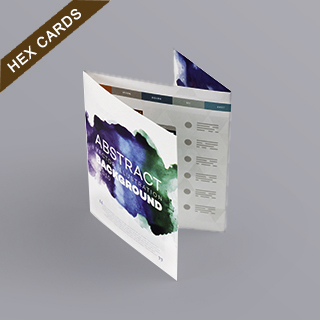 This z-fold hex card size instructions booklet offers plenty of space for you to show off your card game design and present the rules and instructions to your custom card game. Your designs will be printed in full color onto top quality 128gsm art paper with a water varnish finish giving a premium and luxurious look and feel to your card game. 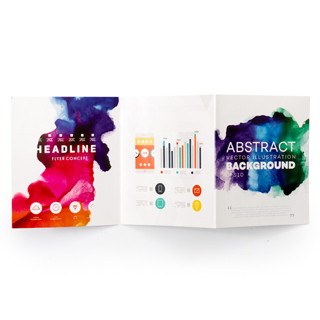 The instructions booklet opens up in a ‘Z’ shape and offers 6 sides for you to upload your designs onto. 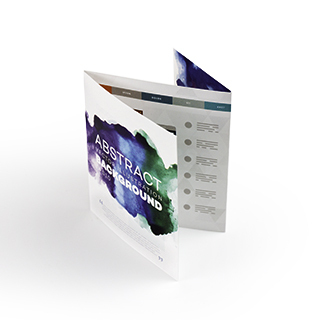 We have no minimum so you can order as little as one custom booklet for prototyping or you can bulk order you’re a full production run.